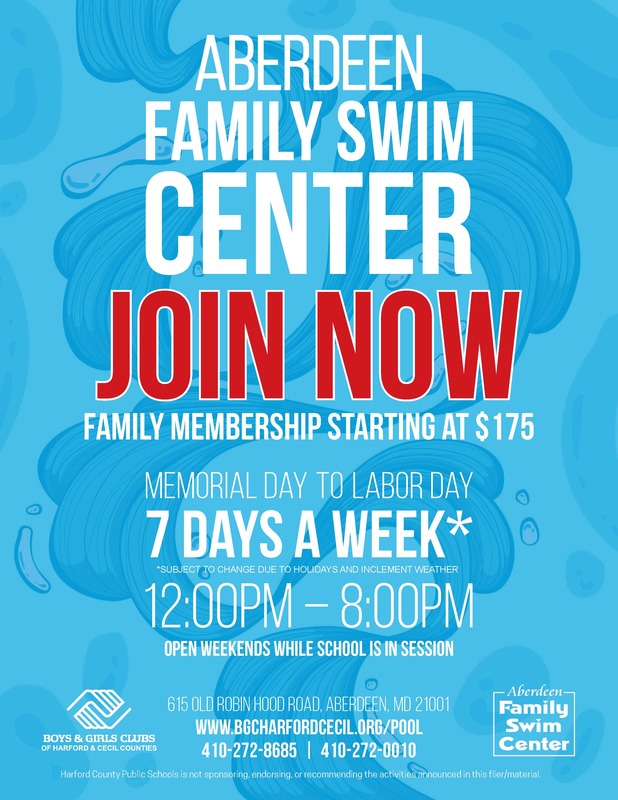 Join the most affordable community pool in the region. 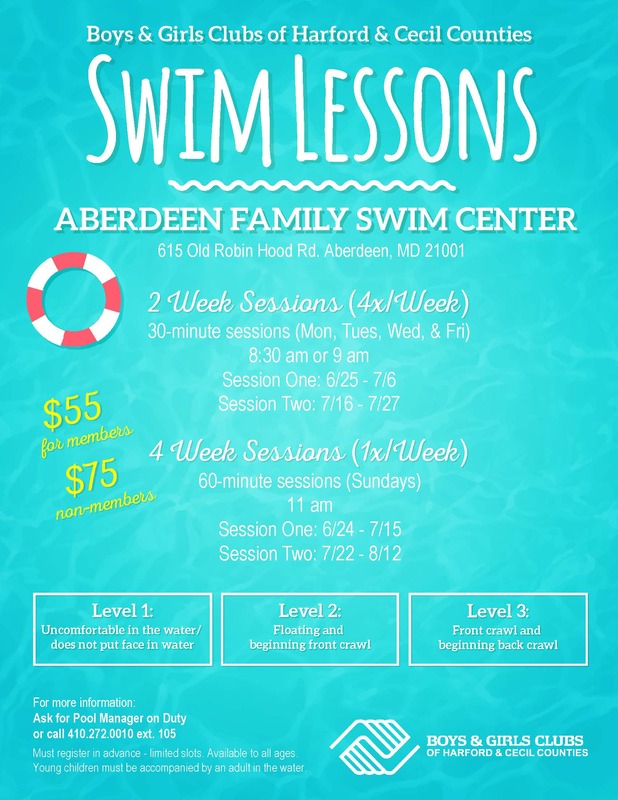 Aberdeen Family Swim Center members not only have access to our 50-meter Olympic-sized swimming pool, they also receive a discount for kids who need swim lessons. Memorial Day – June 14th: Open Weekends ONLY from 12:00 p.m. to 8:00 p.m.
After June 14th: Open 7 Days/Week from 12:00 p.m. to 8:00 p.m. The Aberdeen Family Swim Center is the perfect location to host your upcoming birthday party, graduation celebration, or corporate outing! 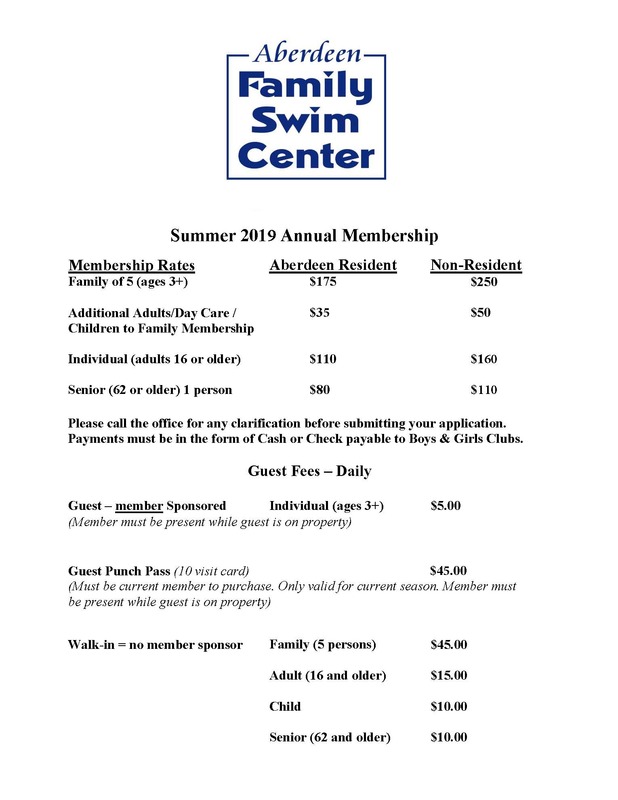 Come join the Aberdeen Penguins Swim Team at the beautiful Aberdeen Swim Center located on Robin Hood Road. We are the only team that practices in a 50- meter Olympic size pool. Our main goals are to have fun, build confidence in the water and develop swim skills while competing in the Harford Swim League. We are fortunate to have The Boys & Girls Clubs of Harford County sponsor our team again this year.